Success is infinite – everyone can have it and so can you. The Law of Attraction has been used successfully by several well established businessmen to build an empire, clinch a deal, bag a dream job, get a promotion, increase profit margins, make a sale, land a perfect job or the perfect partner, and also during important negotiations. 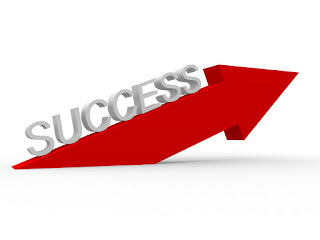 Now, success in all your business endeavors can be yours. Don’t leave something as important as your business to the hands of fate or destiny. Your fate and destiny lie in your hands. You can change your so-called destiny right now. You can experience success firsthand, starting today. To experience success in your business venture, the first step to take is to understand what the Law of Attraction is all about. The Law of Attraction is based on the universal principle that states that we will attract whatever we think about – good or bad, success or failure. The Law of Attraction is continuously at work. Like time, it stops for none. The Law of Attraction is a powerful law – and yet, it listens to you and is completely under your command, and gives back to you what you send out to it. Based on your thoughts, you can either experience success in all your business endeavors, or failure. Think success and prosperity, and that is what you will invite into your business. By thinking of success in a particular business endeavor, the thought grows larger; and as it grows larger, it becomes more powerful. These vibes are sent out into the universe which in turn responds to these powerful images of success that you have created, thereby making your vision a reality. Focus your attention on the success you want. Reinforce this with positive affirmations. When you know that you are capable of achieving what you set out to achieve, when you know – without an atom of doubt – that you deserve that success and that it will be yours, you are on your way to success. Reinforce your subconscious mind with positive affirmations several times a day. Breathe and live these positive affirmations. Visualization is very important when working with the Law of Attraction. See the success you want, as you want it to be. Every night, picture yourself succeeding in your venture. Powerful visualization and thinking is the key to attracting success to you. Be a magnetic force that will attract all the success you want with regard to your business. All your positive affirmations and visualizations will soon get imprinted on your subconscious mind and replace negative beliefs. The subconscious mind will now send out these positive vibrations out into the universe, and all your beliefs and wants will be fulfilled. Now comes the most important part. GRATITUDE- Be thankful for all the opportunities the Universe sends your way. Remember to thank her for all that she has given you. Acknowledging the gifts and opportunities that she provides you with is an important part of the entire process. And share your success with those around you – family, friends and co-workers.